#1 First and foremost, if you aren’t mobile ordering, then what are you doing with your life?! Pro Tip: you can mobile order even from *inside* the Starbucks and then you really don’t have to talk to anyone. 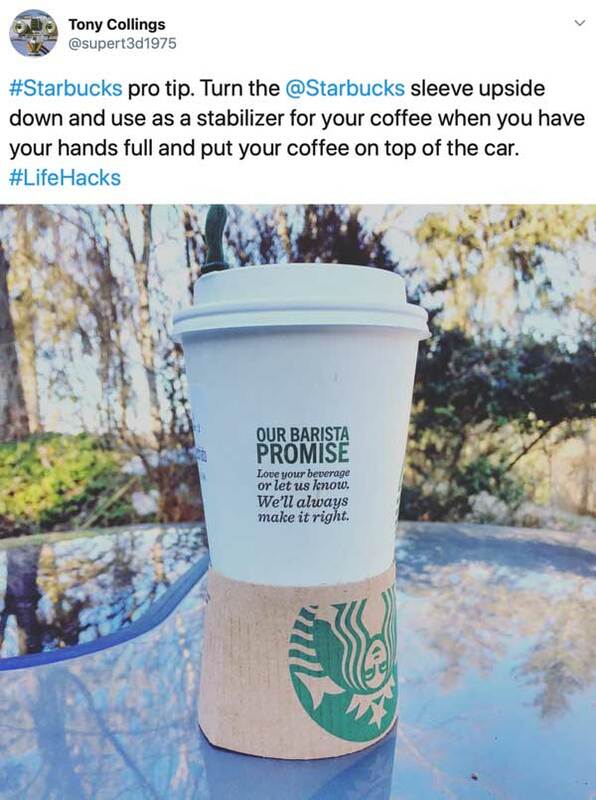 #2 And if you’re feeling very *bold,* use this seat grabbing *power move* tip. Power Move Tip: get a seat at Starbucks first and then put in a mobile order to avoid lines and losing your spot. #3 If you put milk in your coffee, then you should order a a smaller size in a larger cup. So, for example, a grande coffee in a venti cup. This way you’ll have plenty of room for milk and don’t have to pour any coffee out. #4 If you want to be a better customer, then you should order like this. 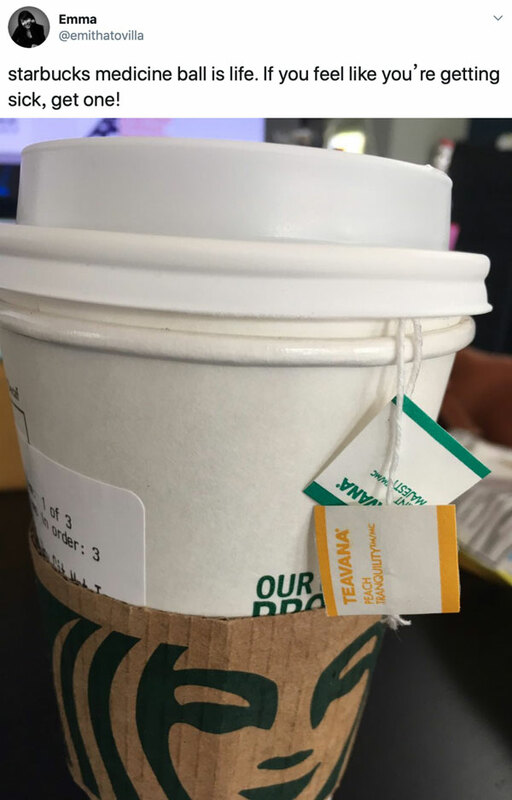 Pro tip: When ordering your drink from Starbucks, first state the size and if you want it hot or iced FIRST. Thx xoxoxo. #5 You can order things “kid temperature” if you don’t want to burn the hell out of your mouth. I was today years old when I found out you can order drinks at Starbucks at “kids’ temperature” (so you don’t burn your tongue off). This is a game changer. #6 There are different sized ice scoops. Know them. #7 You can celebrate Christmas year-round with this hot chocolate hack. #8 You can basically drink a liquid Junior Mint with this hack. 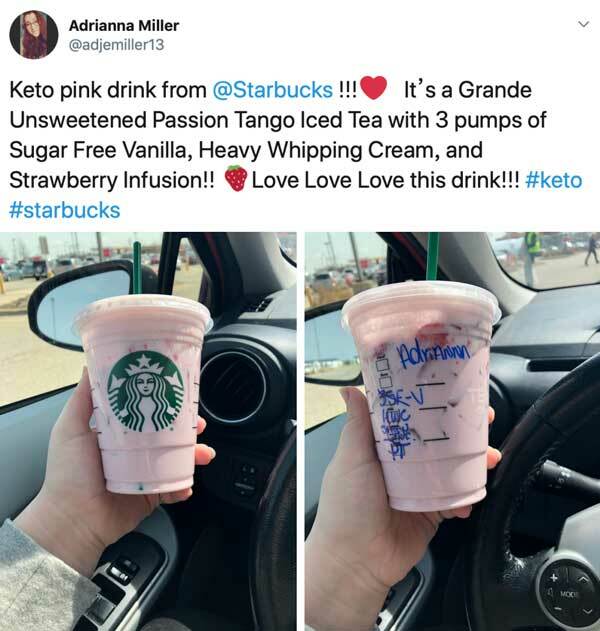 #9 If you’re Keto and still want your pink drink, try this. #10 If you like brownies, then try this. #11 Use your top as a coaster. #12 Use your sleeve as a stabilizer. #13 Ask for a nitro lid for your iced drink if you want to avoid using straws. 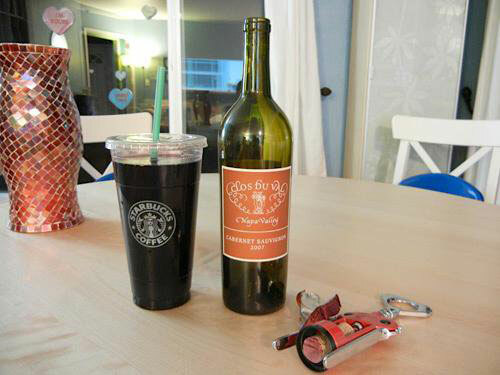 #14 In case you were wondering, an entire bottle of wine fits in a Trenta cup. #15 The baristas do know best, so ask them what they usually get if you want to try something new. 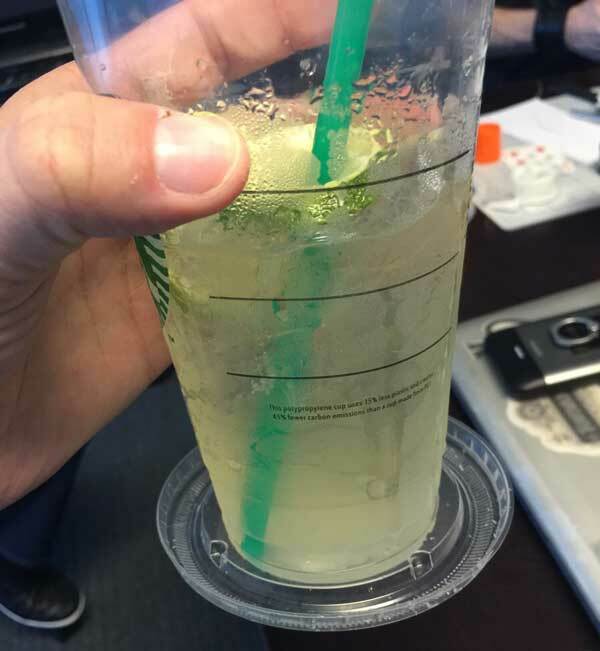 Life hack: Next time you go to Starbucks ask for whatever the barista gets and you’ll get something totally unique and awesome. Trust. 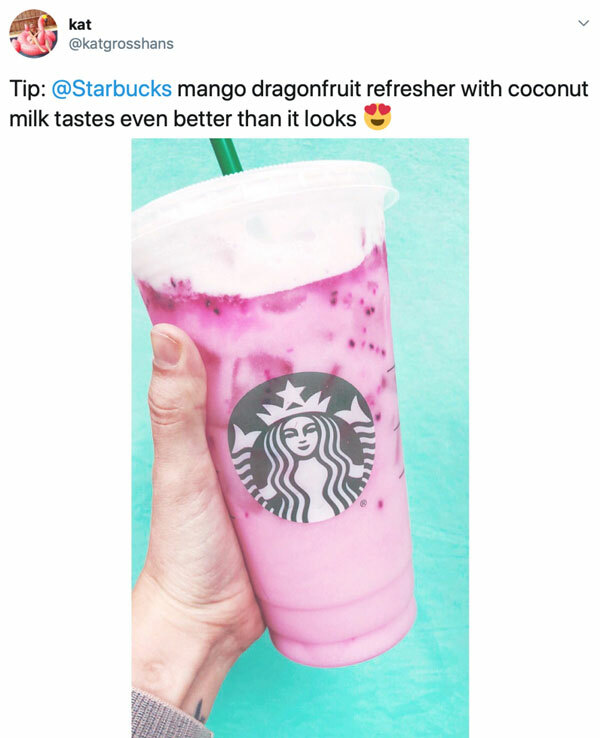 #16 Add coconut milk to your mango black tea lemonade. #17 To be honest, coconut milk makes most of the iced drinks better. #18 If you like black milk tea, then get this. #20 Light roast coffees have more caffeine. Pro tip: light roast coffee beans have more caffeine. 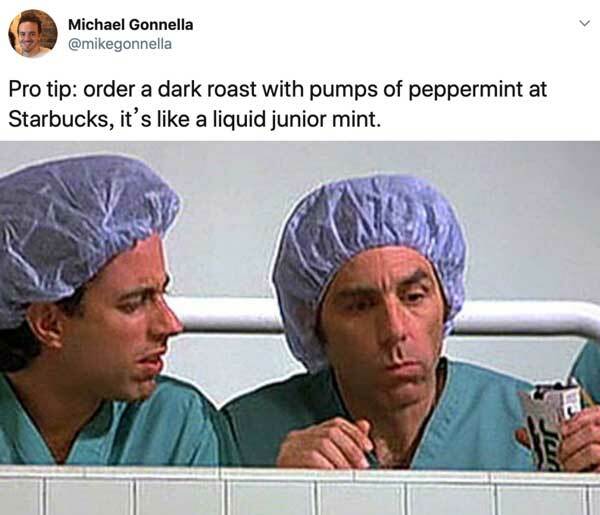 That’s why I always get a lighter roast, even if it ends up being at Starbucks. #21 You can ask for the baked goods heated up and usually they taste better that way. #22 If you want to get a mocha for cheaper, then do this. #23 Don’t crowd the counter and don’t be a di*k.
#24 A little kindness never hurt anyone. #25 Because you never know what perks could come your way. Pro tip #4729: befriend your local Starbucks barista so they don’t charge you for the extra abundance of caramel you like on your macchiato.